Zinsser B-I-N is the choice product of restoration professionals thanks to its legendary adhesion to all surfaces, including smooth, dense and hard to paint areas like over glossy paint or varnish, ceramic tiles, glass or PVC surfaces. There’s no need to sand or prepare the surface beyond basic cleaning, for Zinsser B-I-N to bond to the surface and cure fast, ready for a topcoat. Water stains, grease, oil, soot, rust, mildew, tannin bleed and graffiti are now a thing of the past thanks to Zinsser B-I-N, too, thanks to its excellent stain killing power. With one coat, historic stains, fungal degradation, and surface discolouration can be treated in preparation for a striking new topcoat. It’s not just stains, however, that this product will block – it also blocks, covers and removes odours, too. 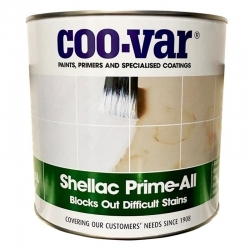 There is no other product on the market that can duplicate the odour sealing properties of this shellac-based paint. That means no more nicotine, smoke damage, legacy fireplace smells, or mould and mildew odours! B-I-N is touch dry in approximately 15 mins, and can be recoated in 45 minutes – that’s incredibly fast for a primer. It manages this through its unique alcohol solvent, which evaporates quickly – leaving no residential odour – leaving you to apply a topcoat, faster than ever before. As well as for use on challenging work and wall surfaces, Zinsser B-I-N is a fantastic wood sealer – perfect for sealing tough knots and sap streaks that tend to bleed through ordinary primers and paint topcoats. It really is the perfect all-surface primer. New and previously painted dry wall, cured plaster/cement based coatings, wood (pine, fir, cedar, redwood, plywood, previously varnished or woodstained), metal (aluminium, steel, copper), vinyl, fibreglass, cured masonry (stucco, concrete block, poured concrete, brick). 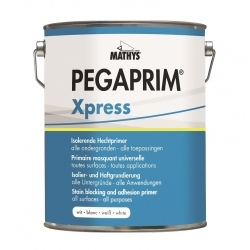 Blocks stains and odours resulting from water & fire damage, seals stains from dark colours, gr ease, rust, creosote, asphalt, crayon, lipstick, graffiti, markers, knots, sap streaks, tannin bleed, etc. Its dried film is non-toxic and hypo-allergenic, meaning that it can be used in areas where incidental contact with food items occur. Spot prime persistent bleed from knots and sap streaks before full-surface priming with water or oil base primer. Generally we don’t advise using B-I-N or any of the Zinsser primers on floors however we do know it has been used in low wear situations previously with reasonable success. 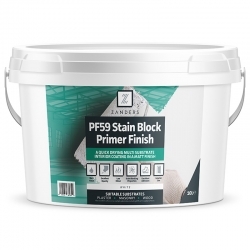 Apply a good quality floor paint on top, either the Blackfriar Professional Acrylic Floor Paint or Blackfriar Professional Polyurethane Floor Paint would both be options, also the Rust-Oleum Chalky Finish Floor Paint. We would suggest a light abrade to the surface first with a fine grade of sandpaper just to key the surface. Wipe down with a damp cloth then apply the B-I-N. Please Note: The coatings may chip off if subjected to impact from a sharp object. Yes, Zinsser B-I-N would be perfect for this. We are looking to paint over some pine cladding on bathroom walls and ceiling that had been varnished with a mat varnish at some point , Would you sugest a primer initially, Then a paint on top , Is the primers oil or water based ? Zinsser Cover Stain would be the recommended primer in this instance. Wash the surfaces well to remove any traces of soap/shampoo residues, apply 1 coat Zinsser Cover Stain followed by a top coat such as Zinsser Perma-White Interior. Yes, we show a small selection of colours available above and can also mix to other pastel shades upon request if required. Zinsser B-I-N is recommended by Zinsser for kitchen units, just make sure surfaces are clean, a good wash down followed by a wipe over with a clean cloth soaked in methylated spirits would be their recommendation. No need to sand the surfaces. Apply 1-2 coats of Zinsser B-I-N as required to get good coverage then straight on with the top coat. We are not familiar with the blue grit bonding product, however we have viewed product details for Febond Blue grit and this says it can be applied to painted surfaces prior to applying a plaster finish. In this instance Zinsser B-I-N could be applied to the smoke damaged surfaces first followed by the Blue Grit coat. 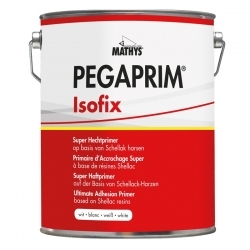 The surfaces must be dry, free from loose soot deposits and any flaking paint. It may be advisable to apply 2 coats of Zinsser B-I-N to ensure the surfaces are well treated and sealed. You should also check with Everbuild the manufacturers of the Febond Blue Grit to see if they have any comments on this particular application. This would be down to personal preference. You wouldn't need to use an undercoat but you can still use one if you wanted to. Question: I have had a flakey bathroom ceiling. After sanding off loose paint I gave 3 coats of Zinsser B-I-N. It is peeling again. Any suggestions please? Thanks. Zinsser B-I-N is not a great primer for bathrooms, as it is moisture sensitive it can break down over time. If the ceiling was damp at the time of painting this would not have helped either. To recoat the ceiling, scrape all the loose flaking paint back to a sound coating and allow the ceiling to completely dry out. Keep windows open to maintain a good airflow to help with the drying out process. 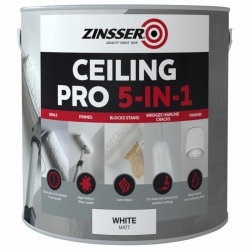 Apply 1 coat of Zinsser Peel Stop to the full ceiling to seal and stabilise any remaining paint. Then finish with 2 coats of Zinsser Perma-White Interior. Avoid excessive use of the shower for a full 7 days after painting to prevent any condensation forming on the surface of the paint while it is still curing. Question: Have just used BIN primer as base coat on pine drawer unit. How long before I can coat with Leyland Acrylic Primer Undercoat? At 20°C / 50% RH Zinsser B-I-N can be overcoated after 45 minutes. have chalk painted a chest of draws and i don't like it will Zinsser Bin seal the chalk paint, for me to be able to use a oil based paint. Rust-Oleum Chalky Finish Furniture Paint will come off easily with a kitchen scouring pad and water. If you don’t want to remove it then an oil based paint can be applied directly over the Rust-Oleum Chalky Finish Furniture Paint. Question: Can I use Zinsser BIN to seal and prime new MDF doors and new softwood skirting boards? Question: I want to paint over wallpaper with a shiny surface. Will BIN be the correct first coat? Yes, just ensure the wallpaper is clean and dry before application. Once primed with Zinsser B-I-N you can overcoat it with your choice of paint. Question: Can I put Zinsser BIN on top of a pine chest of drawers that has already been painted then waxed? No, the wax must first be removed by way of a proprietary cleaner like Timberex Oil & Wax Remover together with thorough sanding. What can I thin Zinsser B-I-N with to make it easier to apply to large doors using a roller? 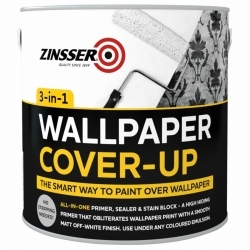 Zinsser B-I-N is not recommended to be thinned at all, if you can't achieve the application you require with Zinsser B-I-N you could try Zinsser Bulls Eye 1-2-3 Plus which can be thinned with water to aid application if required and offers nearly all the same properties. Can Zinnser B-I-N be used as a base on wood which has been previously painted with oil based paint and is now being overpainted with a water based product? Can Zinsser B-I-N be used as a primer on ceramic tiles in a kitchen. Tiles are shiny. What is the best procedure going forward? Zinsser B-I-N can be used on shiny ceramic tiles but we find the Zinsser Bulls Eye 1-2-3 Plus works better. All you need to do is make sure the tiles are clean and dry, apply 1 coat of Zinsser Bulls Eye 1-2-3 Plus, allow to dry (1 hour) and then over coat with something like Zinsser Perma-White Interior. Can Zinsser B-I-N be put directly on top of varnished doors. If not, what do I need to do first? Yes absolutely it can, all you need to do is make sure the surfaces you are painting are clean and dry. 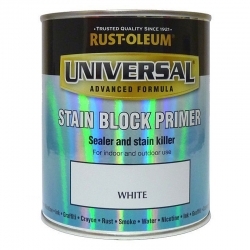 I want to prime over laminate kitchen unit doors and then finish with Rust Oleum paint. Can Zinsser B-I-N be used in a spray gun? as I want to give it to the spray company to apply. Yes it can, for airless spray use .011” – .013” tip @ 800–1,200 PSI or for conventional spray, spray at 45 – 55 PSI. I want to paint over timber doors and skirting previously covered with dark satin wood stain. Will Zinsser B-I-N stick to it and can it be overpainted with gloss or satin paint? Zinsser B-I-N is perfect for this use, simply clean any surfaces that require painting and remove any loose and flaking existing coatings by sanding. Once you have primed the surfaces with Zinsser B-I-N you can apply almost any conventional decorative water or solvent based over the top.